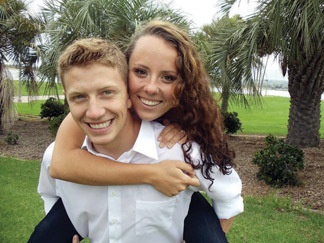 Dan and Nancy Vories of Carbondale are pleased to announce the engagement of their son, Luke Vories, to Krista Bell. Krista is the daughter of Dennis and Debbie Bell of San Diego. She grew up in San Diego and is a graduate of San Diego State University. Luke was raised in Grand Junction and Carbondale, and is currently a U.S. Marine stationed at Camp Pendleton in California. The two will exchange vows in May 2011 in San Diego.